World Boxing Organisation (WBO) Africa Heavyweight king, Ghana’s Harrison Lartey says he is very happy for the opportunity to fight at the Wembley Stadium and will surprise British boxing fans with a win over their pampered champion. Lartey has built an international profile, after defeating champions from Burkina Faso and Kenya and he is now ready to raise his stocks high in the United Kingdom when faces Daniel Dubois at the Wembley Arena, Wembley, London on April 27. 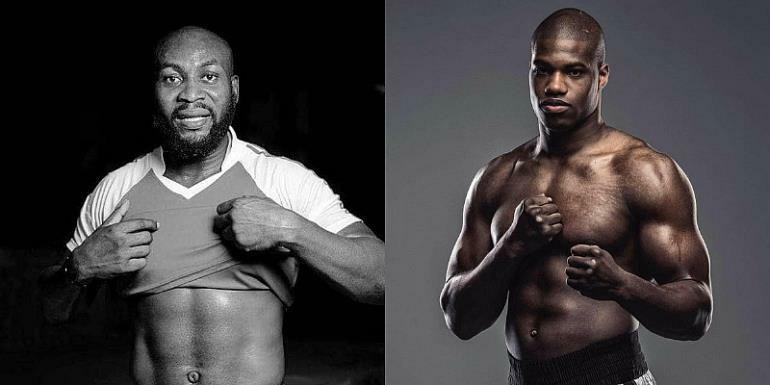 Harrison (14-1, 11KOs), a fantastic Bukom-born boxer with wonderful techniques, comes up against the promoter’s pet boxer in Daniel Dubois (10-0,9 KOs). Yes, frank Warren’s treasured asset, an overly hyped boxer who is consistently been positioned amongst the greats and already renowned for his scary power and stature but yet to fight the very best. BT Sport is set to telecast the fight live for the self styled ‘Dynamite’ who is trained by Martin Bowers. Truth be told Dubois is a product of proper British marketing and has leveraged on a myth that he once knocked out Anthony Joshua in a sparring session. Frank Warren’s prodigy chose to pursue becoming the youngest ever British-born heavyweight world champion as against fighting in the 2020 Olympics, a boxer yet to fight a full twelve rounder and is yet to be rated in any of the sanctioning bodies as against the Ghanaian rated 14th by the WBO. Dubois is the current World Boxing Organisation European Heavyweight champion and is set to equally fight the WBO African Heavyweight champion in Richard Nii Lartey Harrison. His last two fights were against Kevin Johnson (34-12) and Romanian Razvan Cojanu (16-6) whom he dispatched via a second round TKO to win the European belt. Truth be told Dubois is yet to face any opposition with power, craft and hungry like Richard Harrison. For Harrison who says he is the son of the eagle, he seems ro have something to share with the world, and this is the big fight he has been expecting. If he wins, there will be bigger fight. Editor of BoxingGhana.com, Sammy Ofosuhene, who is also a presenter of Ultimate Sports on HSTV is billed to cover the bout and will be bringing minute by minute report from London on the fight. Stay tuned.